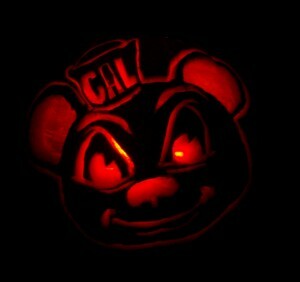 Go Bears, and go Amanda, for carving a truly legit pumpkin! Reward yourself by eating some of those totally addictive mini-Snickers. 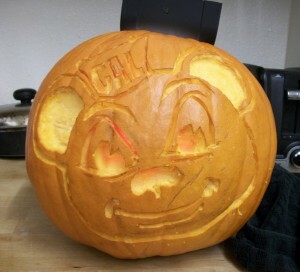 For taking the classic jack-o-lantern and giving it a fresh face, we’d like to congratulate Lauren Leinweber, a sophomore and social welfare major here at Berkeley. 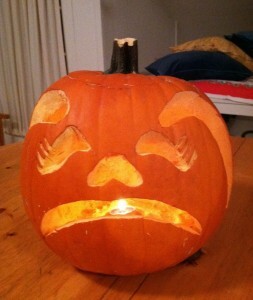 She created her “Sad Rabbit” pumpkin (pictured, left) at a carving party with Cal Band Percussion. It’s a true tour de force, and we at the Clog would like to encourage viewers to appreciate the sheer precision Leinweber must possess: Just look at those curving eyelashes — that can’t have been easy! When asked about the inspiration for her work, the artist responded, “I chose a rabbit because I just really love animals and lament the fact that I cannot have any in my apartment.” We feel you, Lauren. 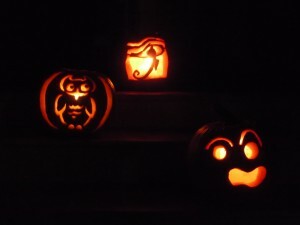 The Clog couldn’t help but try our own hands at pumpkin carving, so we shelled out a few bucks, bought a gourd and hacked away at it for a couple of hours with some adventurous friends. And that’s how it all went down.